Leyden jars for static electricity activities. 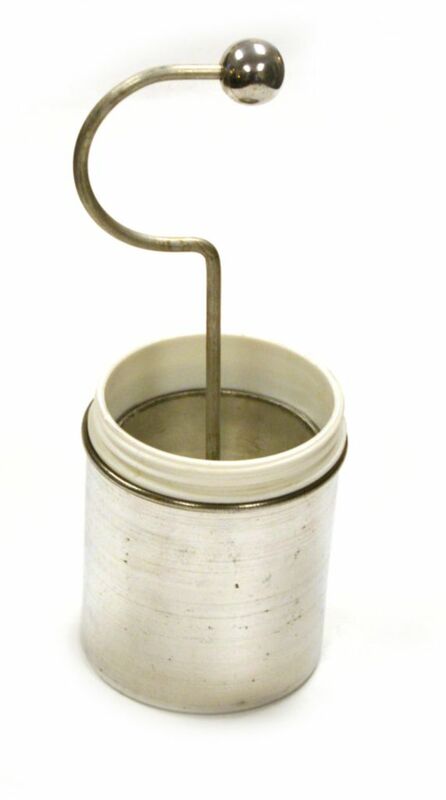 Shock your students again and again with this Leyden Jar. The first device capable of storing an electric charge was the Leyden Jar. Invented by a German, Ewald G. von Kleist, on November 4, 1745. Kliest made the discovery by accident. While experimenting with electricity, he touched his electric generator to a nail stuck into a medicine bottle through the cork. Later, he received a great shock by touching the nail. Although he did not understand how it worked, he had discovered that the nail and the jar were capable of temporarily storing electrons. Today we would call this device a capacitor. Capacitors are used in every form of electronic equipment. This Leyden Jar is designed for classroom demonstrations, and comes with a durable inner and outer plate, a plastic dielectric, and instructions. The inner plate has a hook and ball attached which makes it easy to charge. Use this equipment to duplicate many classic static electricity experiments. Learn about static electricity and the function of a dielectric with this unique device. Leyden Jar is 3" in diameter and 8" tall.